Sometimes, the best regulatory response to emerging disruptive technologies is to stall. Not rushing to regulate lets the market find its own level, and gives time for the disrupter, the incumbent, the consumer and other stakeholders time to adjust. So I wasn't unduly surprised when the Urban Redevelopment Authority (URA) announced last Wednesday that it needed more time to review the issue of short-term rentals of homes. It had conducted a public consultation exercise from January to April last year and said that views were "split, with no clear consensus". Safety and liability issues are a potential minefield. Here, the Singapore approach can be to help facilitate an insurance scheme that covers such claims, while pressing Airbnb to come up with a safety checklist or even safety inspections for hosts. The lull gives the URA more time to study the issues and come up with a regulatory framework. It needs to balance the interests of those who want to let out rooms to tourists for income on home-sharing platforms, like Airbnb, with the interests of hoteliers and accommodation providers which are subject to licensing requirements; and the interests of neighbours who are entitled to peaceful living spaces. It helps that other cities have grappled with the Airbnb challenge. Their experiences point to some sensible approaches the URA can adopt on common issues. One criticism of Airbnb is that its renters do not pay occupancy or other government tax that hotel guests have to pay. Others say the income that hosts receive should also be taxed. In Amsterdam, one of the first cities to legalise Airbnb rentals, the city council created a new class of "Private Rental" accommodation permitting home owners to rent their homes up to two months of the year to up to four people at a time. Hosts have to pay income and tourist taxes. Complaints from neighbours over noise or nuisance will be investigated by law enforcement agencies. Airbnb itself has been proactive in working with the tax authorities to collect room taxes : In its home city of Portland, Oregon, it added an 11.5 per cent hotel tax to all reservations. It is also collecting such taxes in San Francisco and Washington DC and remitting them to the cities in one lump sum. A similar approach can be adopted in Singapore: Get Airbnb to impose an occupancy tax payable to the state and get the hosts to file their income taxes. Unlike Uber or other car-sharing platforms, where passengers share space in a driver's car for just a few minutes of a commute, home-sharing platforms bring strangers together in a home for much more intensive interactions, which may fuel tension. Strangers may live for weeks in a host's property. Neighbours may object to living next to a unit with a constant flow of short-term guests. Addressing neighbours' concerns is thus a big part of Airbnb regulation. There is also concern about short-term rentals driving out long-term tenants. A landlord may prefer to rent out two bedrooms in his apartment for $100 each a night, for a potential $6,000 a month rent, rather than let out the entire apartment to a long-term tenant for $3,000. If more landlords then evict long-term tenants in favour of short-term ones in an area where housing is in short supply, housing affordability becomes an issue. Workers cannot afford to rent and live nearby. Property prices may also soar, if commercially minded landlords are prepared to pay higher prices for apartments they intend to let out for high yields for short-term rentals. A report by ING last month said that housing prices can increase by up to €100,000 (S$155,000) due to tourist rentals, as residents can get loans for higher amounts due to such incomes. It has become a political issue: Green party GroenLinks last Thursday said it would push for an Airbnb ban in Amsterdam, citing rising housing prices. Some cities have dealt with this by requiring hosts to live in a property, and restricting the number of days a property may be let. This allows home owners to rent out rooms occasionally for extra income, but makes it commercially not viable for landlords to buy properties to start a short-term rental business. London permits home owners to rent out their home or rooms for up to three months a year. Santa Monica, in California, requires a host to register for a business licence, live in the property during a renter's stay, and collect a 14 per cent occupancy tax to be paid to the city. 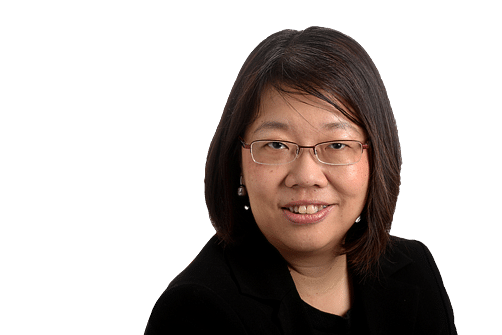 Similar rules can be implemented in Singapore requring hosts to live in the property, and limiting the number of days a place can be let to short-term tenants to, say, 60 a year. The authorities here are unlikely to permit short-term rentals in Housing Board flats, which are primarily meant for owner occupation, given the issues with social cohesion, neighbourliness and security. As for private properties, current URA rules do not permit rentals of under six months for residential units. But even if URA rules change to permit short-term rentals under some conditions (if landlords live on the properties, and for up to a certain number of days a year), those living in condominium estates have to consider their condo's Management Corporation (MC) rules. Some MCs may pass bylaws to totally ban short-term rentals in their condo estate, for example. Those prepared to allow such rentals may introduce additional rules, such as requiring hosts to register their units for short-term rental, and to pay a higher maintenance fee, since their guests can also use the common recreational facilities, and the constant flow of visitors may tax security services. Letting MCs determine whether to permit short-term rentals in their estates may result in a segmented market, with some "Airbnb-friendly" condo estates emerging. These may attract investor-buyers rather than occupier-buyers. This is where the URA will also need to set a cap on the total proportion of units permitted for short-term rental in an estate. This is essential to prevent commercialisation of residential blocks. Hoteliers are unhappy that Airbnb rentals are not subject to the kind of safety regulations that they are subject to. This results in commercially run hotels incurring higher costs, so they can't compete on price with private room rentals by home-owner hosts. The uneven regulatory landscape also affects tenants. In a widely read article last November, journalist Zak Stone wrote about his father dying in an Airbnb rental home in Texas. His father was trying out a rope swing tied to a tree when the trunk of the tree collapsed and fell onto his head. He died days later in hospital. In his feature, Mr Stone also highlighted the case of a Canadian woman who died in a Taiwan Airbnb rental home in 2013: "A leaking water heater placed on a fully enclosed balcony next to the room she was staying had filled the apartment with carbon monoxide. Her five friends staying in the adjoining room were hospitalised and survived. The apartment was being run as an illegal hostel by two men who lacked proper permitting, and didn't bother to install a carbon monoxide detector or conform to 'structural or fire safety standards'." Mr Stone raised questions about Airbnb's minimalist approach towards safety of the homes rented out, questioning why it could afford to send professional photographers to help take pictures of hosts' homes, but not arrange for basic safety inspections. There is also the issue of liability: Will the home owners' home insurance policy cover the damage in a guest accident? Many policies rule out liability for commercial activities. Like Uber, Airbnb has unlocked tremendous potential in the sharing economy, matching people with rooms to spare at home, with travellers looking for a place to stay. As an Airbnb guest myself, I have enjoyed the unique experience of living in locals' homes, and making friends as I travel. But the truth is that such sharing platforms, while benefiting the direct host and guests, create externalities that neighbours, hoteliers and the neighbourhood have to endure. This is why sensible regulation is needed. I hope the URA will come up with a framework of regulation before too long, and that Singapore joins the ranks of cities that permit short-term rentals, with safeguards.